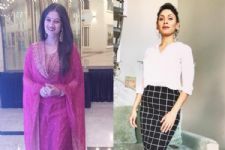 Vijayendra Kumeria, who has starred in shows like Pyaar Ka Dard Hai Meetha Meetha Pyaara Pyaara, Tumhari Paakhi and others, was last seen in Colors TV's popular show Udaan opposite Meera Deosthale. The show took a leap of 10 years and the previous cast including Vijayendra Kumeria bid farewell to the show. We are sure you all are missing him. 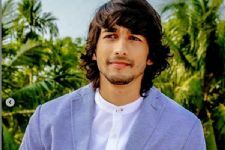 Well, we have a grand news for you, as the actor is all set to come back on small screen and that too on the same channel. Well, it will be indeed exciting to see the actor try his culinary skills on national television. I have mixed feelings about the episode, I'm happy to get a glimpse of Vijayendra Kumeria once again but I don't want to see him promoting the leap, it's a cruel joke. I was looking forward for Meera's episode as an escape from the current story but it won't happen as the episode will have the old generation and new generation. Excited to see Vijayendra Kumeria in kitchen champion. Super Excited for the epi. Can't wait to see Vijayendra Kumeria in kitchen champion. Loving you Vijayendra Kumeria!! Excited to see you Vijayendra Kumeria in kitchen champion.Wish he comes back in a good show soon. Hope Meera leave soon Udaan. Vijayendra Kumeria any news about you makes us frenzy. Missing you so much in Udaan but eagerly waiting to see you in Kitchen Champion. Hope to see you soon in a new show. Very much excited to see Vijayendra Kumeria onscreen in kitchen Champion! !